Other arrests: 24 October-1 December, 2011. 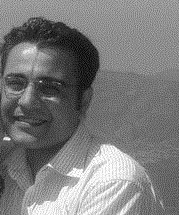 On 15 December 2011, Hussein Ghrer was arrested along with 14 others in a raid on the Syrian Center for Media and Freedom of Expression. Prior Arrest:According to a Facebook campaign calling for his release, Syrian blogger Hussein Ghrer left his home on Friday, October 24, and never came back. Ghrer is a thirty-year-old married father of two and has blogged and participated in numerous solidarity campaigns for Palestine, as well as the blogger campaign against the Israeli occupation of the Golan Heights, and a campaign for solidarity with victims of honor crimes. The most recent post on Ghrer's blog focuses on the arrest earlier this year of now-released Syrian blogger Anas Maarawi in the context of freedom in Syria. In addition to the Facebook campaign, activists have put together a blog (in Arabic), in which they call for Syrian authorities to disclose information about Ghrer and "release those detained in violation of the law and human rights." On November 17, Ghrer was referred to a civil court in Damascus and transferred to Central Prison in Adra to await his trial, scheduled for November 19. On 9 July 2012 Ghrer, who suffers from hypertensive vascular disease, announced he would start an indefinite hunger strike to protest against the situation of opinion detainees in Syria. Bloggers launched a campaign to demand his unconditional release. Statement in Arabic, English, French and Spanish.